This light has 3 main levels (High, Medium, and Low). Each main level can be configured to one of its two sub-levels. The second sub-level of the High can be further configured to different brightness levels or strobes. Press and hold to cycle from Low to High, release to set. When press and hold, the light always cycle from Low to High regardless which level you are currently in. The second sub-level of the High can be configured after 6 double clicks. Double click (starting with the 7th) to cycle and select different brightness levels or strobes. Short click to turn off the light when finishing configurations. The selections for the second sub-level of the High are memorized after the light is turned off and through battery changes. Back in February of this year, I got the itch to get a new headlamp. I have had a few in the past, most of which were good-enough headlamps, but I wanted more… but less… More function, but less weight, however, at this point, weight had now taken a back seat to function, within reason anyway. Then, one night my son and I unexpectedly had to hike out of camp around midnight… In this case, I found the e+LITE to be severely inadequate (at least for my liking) when it came to using it as a true night-hiking light. And to be honest, my Photon Micro Light actually got us out of the woods that night. Since this time, I had went back to my Fuel headlamp. I had my eyes on some other headlamps for a while, but never serious enough to pull the trigger on one. At the time, I just really knew that my next headlamp would have the friend lamp (AKA: red lamp) in it. I had begun by looking at the Fenix LD01 lights. The LD01 did not have the red light I at one time had so desired, but everything else about it had drawn me to it. It had a wide variety of light intensity settings, which ranged from low enough to probably still be friendly in a crowd, as well as high enough (I think) to do some occasional night hiking with. It only used 1 battery and is pretty dang light weight…. 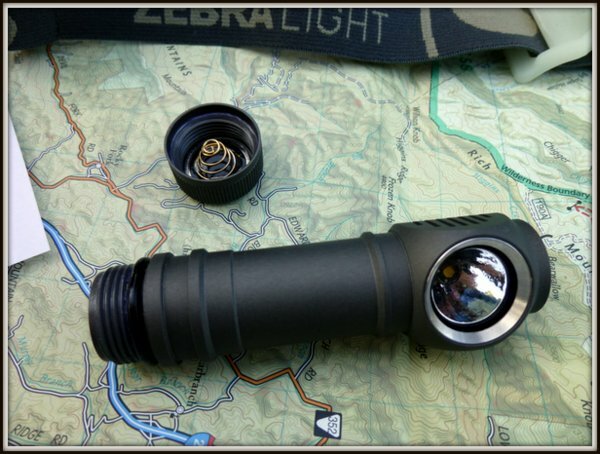 However, as I was researching, I came across a lot of folks that really, really liked their ZebraLights… and more specifically, the ZebraLight H51. Now, I am not going to try to compare the Fenix LD01 to the ZebraLight H51 (which is what I have now) or say that one is better than the other, but I am just going to say that I dove into the ZebraLight pool on this particular night. It was definitely a spur of the moment thing, but after using it, I can honestly say that I am very happy that I decided to go for it. As can be seen from the first of this post, there are a lot of technical details about this light (and these are only some of the ones I copy and pasted from the ZebraLight site). 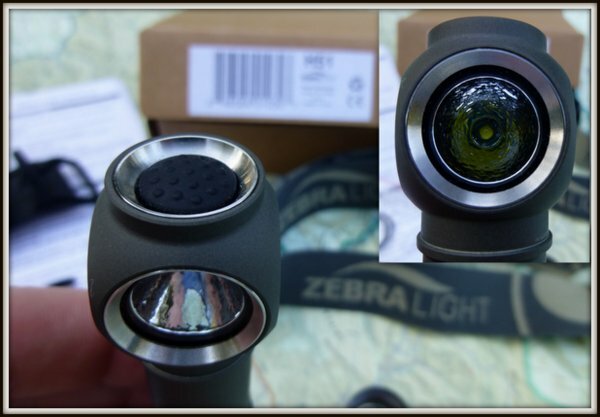 From what I understand, there is a lot of detail and attention that goes into manufacturing the ZebraLights’, and while I am no “headlight buff,” after using it for a while, I can say that my ZebraLight H51 seems like a much higher quality light than the other headlamps I have owned (which are listed above). Since getting the ZebraLight H51 back in late February, I have used it on all of my trips, which have indeed included a few night/early morning hikes. Temperatures have ranged between high 20’s F to near 100 F, and I have had it out in both rain and sun. I have used it in groups as well as on the trail. And it still looks, and more importantly, functions the same as the day I got it! Durable. Really, it seems tough as nails, but that doesn’t mean I intentionally abuse it. I use it as I need to, and so far it has easily stood up to this use without any evidence of failure. Simple. At first it did take some getting used to as far as going through the cycles, but that did not take too long. Come on, it only has 1 button… how much more simple can it get? Versatile. This light has so many different light intensities, I have found that for me, the H51 has a light intensity setting for each occasion. But not one that will “just do,” but one that actually works very well for that specific occasion! Only uses 1 AA battery. This is a huge like for me. The single AA battery makes it easier to change out than multiple batteries. As well, the simple act of changing the battery out in this light is by far easier than any other headlamp I have owned. So at this point, I am really happy with my decision to get this light. It has excelled in all the areas my other lights have, but then took it a bit farther and shined even brighter in so many other areas that my previous headlamps did not. I will admit, spending the $64 on a light at first was hard to swallow, but now I don’t find it so bad and realize it was well worth it. I can definitely say that I look forward to taking this headlamp out with me on many more future trips. This entry was posted in DIY/MYOG, Gear, Gear Reviews, Gear Stores, Headlamps and tagged Backpacking, Black Diamond, e+LITE, Fenix LD01, Fuel Headlamp, Gizmo Headlamp, H51 Light, Headlamp, Hiking, Light, Petzyl, Princeton Tec, ZebraLight. Bookmark the permalink. Another useful review Stick. I think I can see a $65.00 (plus shipping and exchange cost) in my future. I wonder if it might be practical around camp to simply clip the light to my shirt collar or pocket rather than use the headband. I see that one of your blog responders clips the light to his back while night hiking. I’m thinking of getting one of these, does it still get your full recommendation? I’ve been using a photon light as my only light source, and I’ve been thinking thAt it may not be a wise choice. It totally still gets my full recommendation. I love it and have no desire to get any other headlamp… It comes with me on all of my trips. 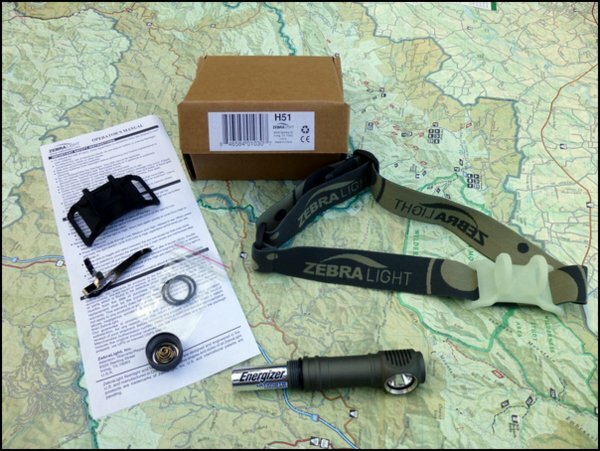 Glad to find your post on the Zebra light, just pulled the trigger on one and am excited to try it out after reading your post and watching your vid. Thanks for sharing your thoughts. Cheers. Glad to hear! I am still loving mine…hope that you enjoy yours! Stick, the Zebrlight H51 cool white is my favorite backpacking flashlight. I have had it for about a year. I use the dimmest mode for reading and rarely use above medium for walking down the trail at night. It is nice to have the high mode when you need a searchlight, however. My backpacking friends are amazed at how bright it is on high–200 lumins I believe. They always want me to bust out the Zebralight when hanging bear bags because it is so much brighter than their lights. I use the Eneloop batteries as recommended by Zebralight. I don’t use the headband at night, I simply clip it to the belt of my backpack. My gut pushes the flashlight slightly down at the perfect angle. It seems to give a better perspective than using the headband and is more comfortable. I use the same settings for both, and have also used the high for throwing a bear line! It is a very useful item, and I am very happy with it. The couple of times that I have used it for hiking at night, I simply wore it on my head (with my DIY headband) and it did fine for me. This is a neat looking flashlight, but $65 seems like a lot.. especially after reading this post I put my Big Lots LED flashlight (1AA) on the scales.. 1.7 oz. per flashlight for a whoping $1.75. I’ve looked into the Zebra lights, too, but I haven’t been able to pull the trigger on one yet. The price and the battery life are what’s keeping me from committing. What made you decide on the H51, as opposed to the H31? One plus is that the H51 comes with the GITD holder and the H31 doesn’t. Were there other reasons? The price is definitely a consideration, however, when compared to some other lights out there, it is not too bad. At least I can say that now that I have already spent it and have experience with it. For me though, I am very happy that I went this route. After owning mine, I feel like the price is justified. I feel like it will be around for a long time and look forward to having it with me. As far as battery life, the numbers on the site are figured using the Eneloops, which are only 2,000 ma. The L91’s that I use are 3000 ma, so they get a little longer life out of them. However, I hardly ever use the high settings. Most of the time I am on the low settings (for around camp) and then one of the medium settings (for night hiking), so the batteries have lasted quite a while. And the great thing is, this only uses 1 battery, rather than 2 or 3 that many other headlamps use, so I also have less weight by carrying less batteries. The reason I went with the H51 over the H31 is simply my preference for a AA battery rather than the coin cell batteries. I have never gotten into the coin cell batteries, and it just seems easier to come by the AA batteries, although I know that more and more places are starting to carry a wide variety of these coin cell batteries too. Chad – nice review as always. 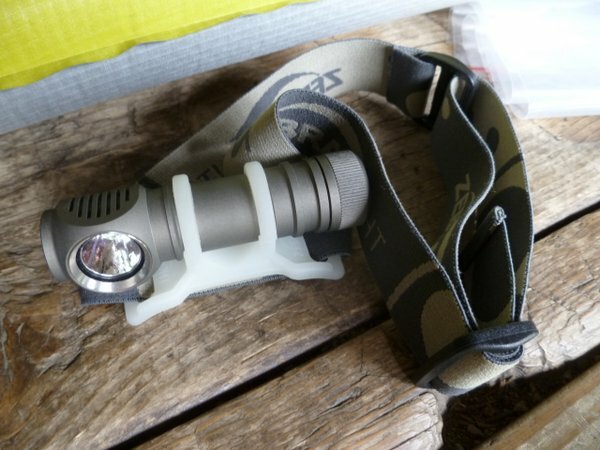 I been going between this & the Petzl tikka XP 2 http://www.rei.com/product/829554/petzl-tikka-xp-2-headlamp specs are a bit diff between the 2 and about $10 diff in price. The zebra specs seem much nicer! I like a red light for camp. I’m thinking a red plastic lens can possibly be made for this or I think I actually have something from a mini mag light. tho if the low on this zebra is like moonlight – I may not want red light… Have you ever used a tikka XP 2? I too own one of the H51s and love it. Had been using a BD Ion for backpacking trips and was looking for a lightweight AA battieried headlamp reduce spare batteries by sharing them with my camera on a scout trip to Philmont, NM. I was shocked at the amount of light this little lamp puts out at high. It is almost too much light. Granted the battery may not last an hour at that setting, so you are going to use it judiciously, but you know you have it if you need it. I also thought the lowest low was not going to be of any use because it was sooo low, but I found that to be my goto setting for most of my 2 week trip. It was great in the tent and for basic gear sorting and pack prep at night. The only cons I found with this light were the complexity of the settings (yes it has one button, but you need a cheatsheet to remember how to get to all the different settings), and I had it come on several times accidentally in my pack. Someone noticed the high beam through the pack material one day and saved me on that one. Also the GITD headlamp holder is nice for finding the light in the tent in the first part of the night. All in all a great light and I will use it for many years to come. As far as times, the listed times are based on the Eneloop batteries, which have less energy capacity as the lithiums that I am using (IIRC the L91 has 3,000 ma whereas the Eneloops are only 2,000). So, the L91’s will actually provide longer burn times. However, I still do not run around with the light on high, I really do not need it. The medium settings are easily bright enough for me to hike by… I always carry a spare battery with me though… just in case.